FIX MY STORY? 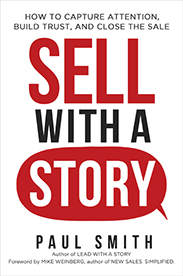 See how two simple changes take a business story from ho-hum to effective. 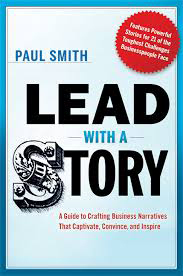 If you're looking for an expert on business storytelling, leadership training, character development, parenting, or a motivational speaker for your next event, contact Paul. LEADERSHIP - storytelling, vision, accountability, change, presentations, customer service, culture, values, collaboration, diversity, inspiration, motivation, courage, coaching and feedback, problem solving, creativity, innovation, sales. CHARACTER: ambition, open-mindedness, creativity, curiosity, integrity, self-reliance, grit, hard work, self-confidence, money, positive mental attitude, dealing with loss, kindness, patience, fairness and justice, humility, respect for others, friendship, forgiveness, gratitude, appreciation of beauty.